On Tuesday, renowned photographer Emmet Gowin came to campus as this year’s Donald J. Gordon Visiting Artist. He gave a lecture titled “A Life in Photography” in LPAC Cinema, followed by an evening reception for his exhibit in the List Gallery. 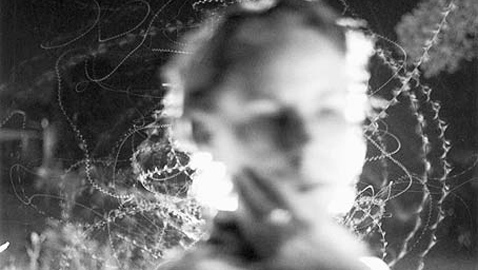 Gowin is well-known for his intimate portraits, especially those of his wife Edith, as well as for his landscape work and aerial photographs. He studied with Harry Callahan at the Rhode Island School of Design during the 1960s, and in 2010 he retired from teaching after thirty-six years as a photography professor at Princeton University. During the lecture, Gowin described his journey as an artist through a series of stories, beginning with an experience he had when he was thirteen. He saw a photograph of a burnt tree stump in a magazine and interpreted it as a depiction of Christ’s crucifixion and resurrection. From that moment on, he said, he could not stop seeing photographs as symbols. Despite criticisms from friends and classmates at Richmond Professional Institute (where he studied graphic design), Gowin viewed photography as a serious artform and decided to pursue it. He went on to become one of America’s best-loved photographers. His numerous accolades include a Guggenheim Fellowship, two National Endowment for the Arts Fellowships, and a Pew Fellowship in the Arts. Throughout the lecture, Gowin continually referenced the role fate has played in his life and his career. The List Gallery exhibition, a survey of over sixty works from the past fifty years, is open to the public through April 1st. It includes both landscapes and portraiture. For those interested in learning more about Gowin’s work, there is information available in List and a number of books available for check-out in McCabe Library.